Everyone knows that coffee shops, fast food places, and the public library are some of the top places to go when you’re looking for free wi-fi. Even with dwindling budgets and lower usage numbers for other collection items, computer and online usage at libraries has rocketed up in the past few years. 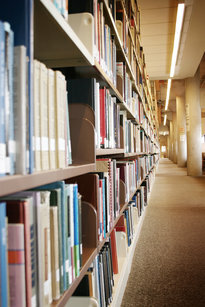 Between the unemployed looking for jobs, students completing online class assignments, and genealogy researchers, there seems to be an unending demand for library computer access. In New York City, outside of re-wiring the entire city or finding lower cost options via cable or satellite, it seemed this arrangement would need to continue for some time. This project is part of a larger effort to digitize the city, “following an announcement [in November] that the city plans to turn [more than] 6,000 city pay phones into stationary wireless hot spots.” The pay phones will be replaced by what are being called LinkNYC devices, 9.5-foot structures with antennas, 24-hour, 150-foot-radius Wi-Fi, and charging stations. Free phone calls can also be made to the fifty states, and all of it will be paid for by streaming digital advertisements. That’s what we have always liked about libraries.